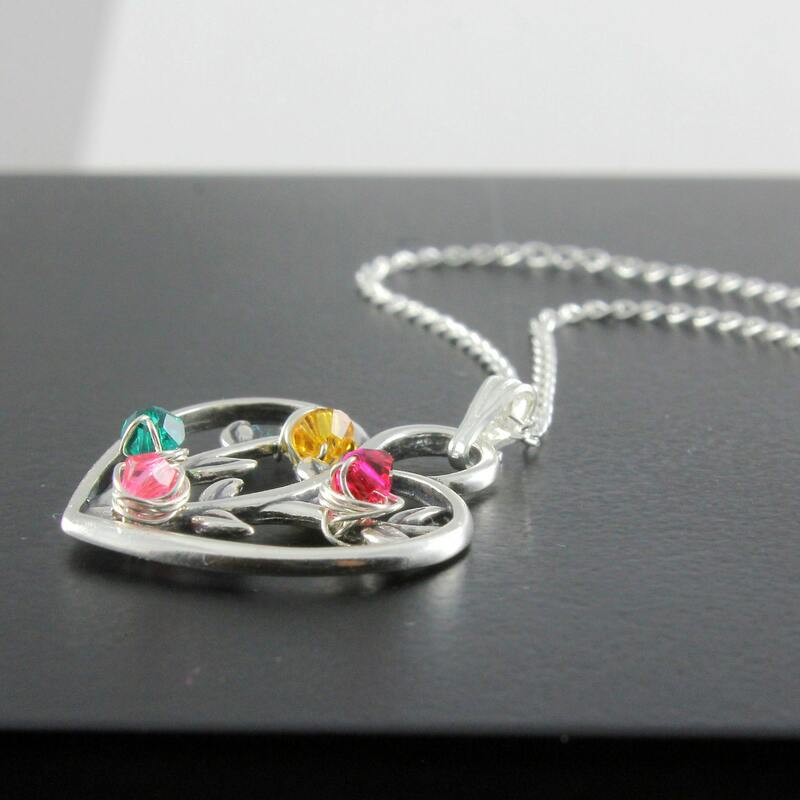 The necklace you see in the pictures has been sold with the birthstones custom-made for a customer. 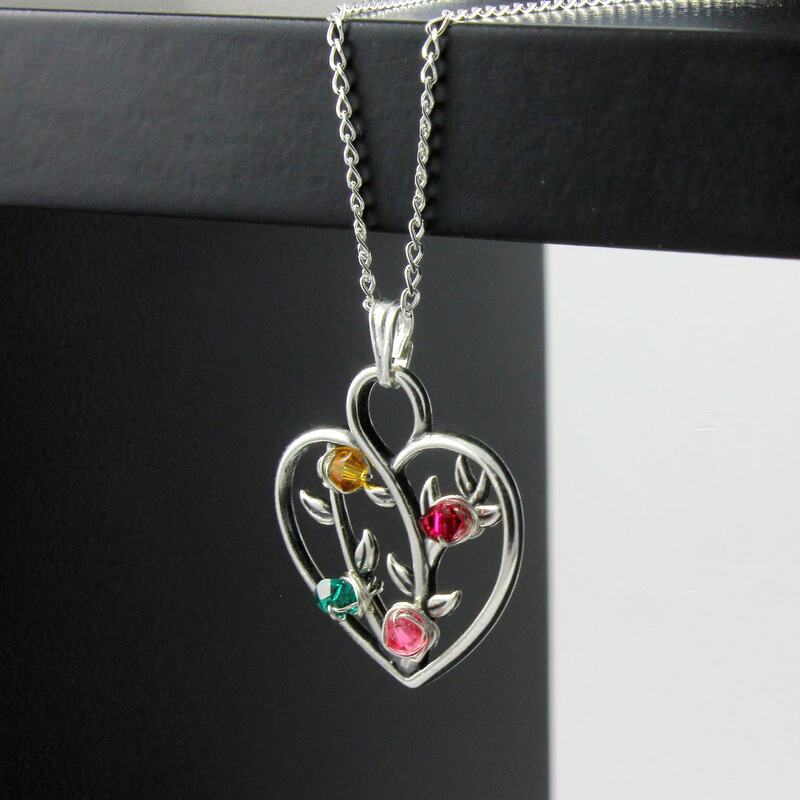 You may order a necklace with the pendant arranged with your desired birthstones that are available in different colors and stones. 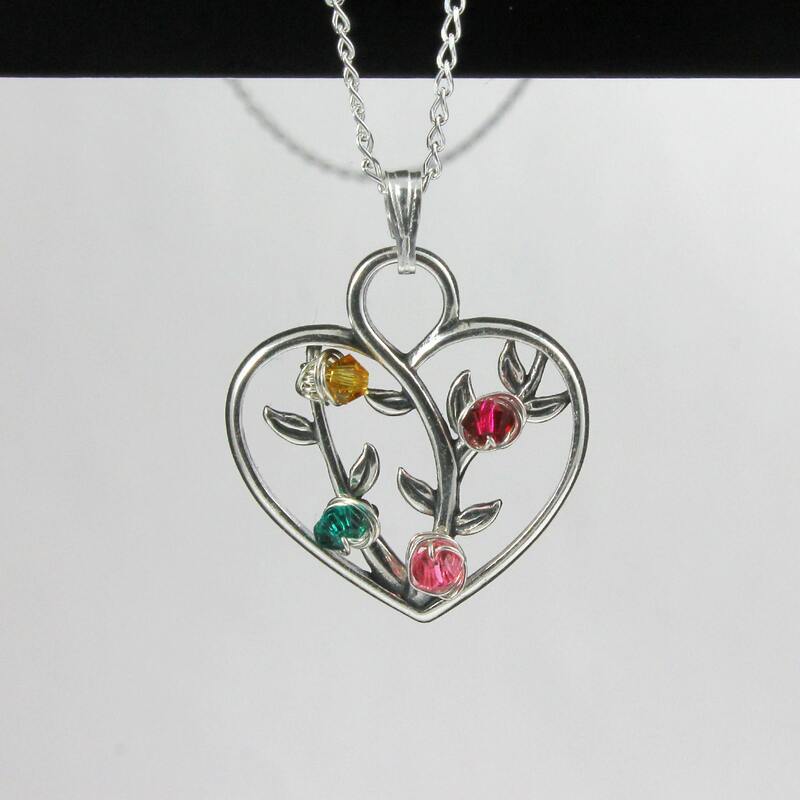 This gorgeous necklace features Sterling Silver heart pendant with a tree of life inside, hanging from diamond-cut long curb chain. The pendant includes natural gemstones and/or Swarovski crystals wire-wrapped with Sterling Silver wire. The birthstones are representation of months of birth. 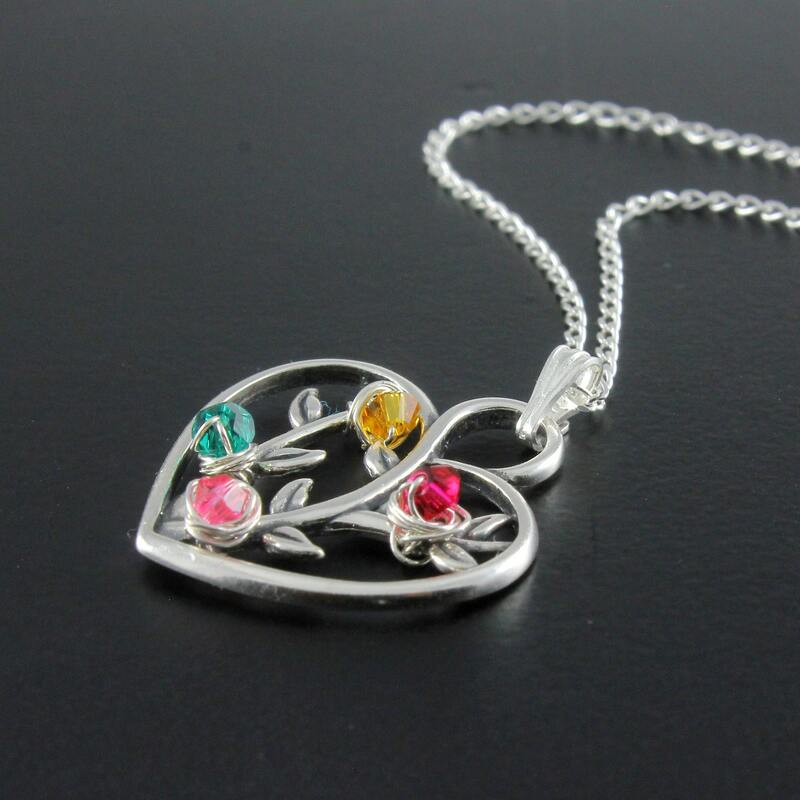 This tree of life heart pendant measures 24 x 22mm. The birthstones on it are around 2-3 mm. 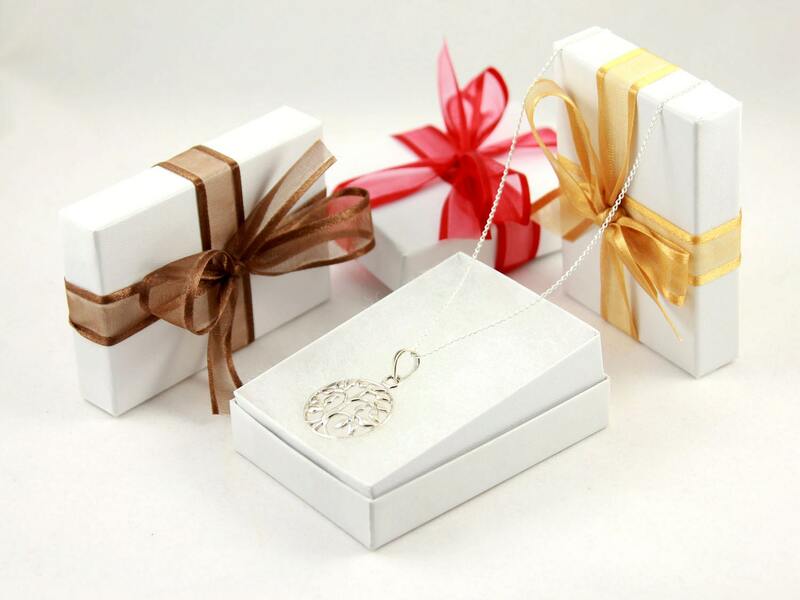 All components are made of SOLID STERLING SILVER.